Premiums offered in Covered California, the state exchange, also increased by an average of 4 percent this year. Supporters of the system, however, say the 4 percent increase is good news, since rates could have gone up more. Gerald Kominski, director of UCLA’s Center for Health Policy Research, said premiums for health coverage typically rose by more than 10 percent annually prior to Obamacare. Kominski also said 20 percent of Covered California customers are in line for a rate decrease in 2016. 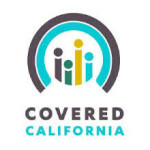 Currently, 1.3 million Californians buy individual policies through Covered California. About 30,000 of those customers will have rate hikes of more than 15 percent in the upcoming year if they do not change health plans. Rates will rise by 7 percent in Northern California. Premiums will increase less than 2 percent in Los Angeles and Orange counties. Prices are historically higher in Northern California, where big health systems have market clout. Statewide, the largest health insurers are Anthem Inc., Blue Shield of California and Kaiser. In 2016, Anthem Inc. premiums will increase by an average of 5.9 percent, Kaiser rates will go up by 5.2 percent and Blue Shield premiums will rise by 2.3 percent. In a recent survey, 44 percent of Covered California customers said they found it difficult to pay their monthly premiums. Some people have also said they feel shortchanged in terms of the doctors they can see and the service they receive from Covered California or their insurer when health problems arise. They are ignorant, viciously mean, and racist. They hate anything and everything that makes the world better for anyone besides themselves. They are ENEMIES of civilization. They’ll make like miserable for everyone else in order to extend THEIR putrid, worthless lives. They’re KILLERS, and you are on the list. BTW, Medicare celebrates it’s 50 year anniversary TODAY ! We can’t sit still, though. Republicans are working hard to kill you. We can’t fight them with library books. There was a time that I strongly believed that if we had seriously tackled fraud and waste and even more importantly lessen the federal governments role in the health care industry we would all be better off for it. But not any longer… It’s too late. For better or worse the government with the adoption of Obama care have completely taken over our health care system in America. Sadly the end in site will be a single payer system. People on medicare without the means to supplement their care will be in for a very rude awakening. We will witness the health care Insurance industry shrink down to two or three corporations that will eventually combine into one. The bringing about a single government controlled one size fits all with death panels health care system. Single payer was always the plan from day one…this was just a stepping stone to blow up the private system and then after Govent blew it up….the wizards of smart will ride in to save us with single payer. With advances in technology come with it longer lives. Advances in technology cost $$. Also, consider that people are eating more processed foods, more sugary sodas, more imported items from non regulated countries, like China. 2/3 of the US people are deemed overweight. People are in more sedentary jobs by and large. Kids aren’t exercising as much, because they cannot just run out and play anymore without someone calling the police on wild kids on the loose. This all equals more health care costs. Angiograms, open heart surgeries, cancer treatments; they all cost money. LOTS of money. Insurance premiums don’t come close to covering the cost of care. This is why the well people pay for the sick, and why premiums will continue to increase at alarming rates. In addition to the cost of technology, research and development costs are huge in health care. Everyone wants cures for cancer, AIDS, ALS, MD, MS and more, as I do too. The issue is that it takes spending to have that happen. The profits that everyone screams about the insurance companies making funds much of that. Look at the cost of a prescription drug. With most health insurance coverage, the copay is $10. The insurance company may pay additional but the profits for the retailer, the wholesaler, the pharm company, the researchers and other expenses aren’t getting paid out of that $10. Shhhhhh, what you proposed above entails that scary word “socialism!” You know, like when the people that don’t drive cars still pay taxes for the roads that people that do have cars drive upon! Shhhhhhh. The sad irony of all of this is it is not about “illegal children” or “socialist policies” or hate of our 1/2 black president. High costs are all about insurance company profits, as long as our health care is a guaranteed profit center for the 1% investors all of your rates will go up and up. People and company’s pay there taxes, Gov pays the doc’s and hospitals, we would pay much less. one form for everyone, no adjusters, fights over drug prices etc Health insurance company’s are not needed. Massive profits are made as the people argue over the scraps……..
Why the race card, always the race card. If we don’t like something you always assume it is because of 1/2 black president. How about the 1/2 white president, guess that 1/2 doesn’t count. I voted for him in 2008 but woke up the second round and I don’t think that makes me racist but makes you racist! Or how about the 100% white president who lied the U.S. into a war that has killed hundreds of thousands? And, in the process, totally destabilized the Middle East? When you are losing the argument….play the race card. In the years 2008 to 2010, health insurance premiums for people buying coverage on their own,not as part of an employer-provided plan, grew more than 10 percent on AVERAGE. Now, in 2016 the ACA rates went up 4 percent in California? Relative to the past, where are we going to hold the celebration party? To help eliminate the “aliens” coming across our borders, and as many say are using our healthcare, although Jesus would propose we should help them out anyway, WHY isn’t the controlled Republican House and Senate doing something about the borders since they’ve had eight months in office? All they’ve done thus far is to continue the war on women by proposing to eliminate woman’s rights, and for the millionth time, vote to eliminate Obamacare! Seriously, don’t we miss healthcare companies that use to turn you down because of “pre-conditions” where you were placed in having absolutely no healthcare coverage at all, therefore relying upon the emergency room that helped drive up the costs for people that did have healthcare? Yeah, the good ol’ days. So, before Obamacare the cost of health insurance was going up around 10% a year. After Obamacare, it is going up an average of over 80%. Tell me again why you want to hold a party? Before California Covered, I was on Blue Shield and the rates went up, on average, about 10% per year….and that was for HMO coverage, which nearly killed me. Now that I am on California Covered, I am at the top Blue Shield/CC tier, the “Platinum” level, and my cost will be about 4 per cent increased. Try to spin that into something bad. I dare you. Since my taxes obviously pay for your heath care…You’re welcome! There was no “assuming” with the Nonpartisan foundation The Commonwealth Fund. Cite the 250% increase in 2014 for me, thanks. JMO, are you enjoying that “no precondition” clause, no gender discrimination, insurance companies not dropping your insurance, young adults staying on their parents insurance until the age of 26, more rights to appeal insurance company decisions, closing out Medicare donut hole in part D, and other ACA things as well, huh? If you are against Obamacare, be sure to not take advantage of the above entities so as not to be a hypocrite, okay? Thanks. So, if you compound 10% increases for years and then get a 4% increase on top of what amounts to a 50%+ increase when you compound for 5 years, you have a pretty substantial increase. More importantly than the increases, look at the number of providers closing their doors or merging with other providers because they can’t function with the squeeze on reimbursements. Look at Dr. Colton in Templeton. He moved to a “concierge practice” where you must pay $2000 per year in order to have him as your physician. That is on top of your insurance premiums and copay. Dr. Vaughn in Morro Bay merged with Dignity Health and they moved 2 additional doctors into his suite sharing the facility and the staff to obtain cost savings. I recently started with a new Dr. in San Luis Obispo and it took 4 months to get an appointment. Questa Medical Group sold to Dignity Health and relocated their entire practice to one of their facilities. Many doctors have retired as well. To summarize what we have is fewer doctors, higher costs and more patients in the system. This is just the beginning of costs spiraling out of control and shortages of providers. Because of the “crash” of 2008, where the buck stopped at “W’s” desk, we all have to tighten our belts. For comedy relief, remember George W. Bushe’s Vaudeville Act of “health care vouchers?” I know, stop laughing! Now brother Jebby (too embarrassed to use his last name) wants to eliminate Social Security! The Bush family should take their dog and pony show on the road! Ted, this is why liberals have a reputation for being so bad at math. I sincerely believe that you are expressing your honest feelings and not just blatantly lying. Obama is an eloquent speaker, but I have grown to believe the conservative line that all he does is read a teleprompter (not that it matters, but I did vote for him). When Obama advocated Obamacare he specifically said its benefit would be to reduce the federal deficit due to increasing medical costs by $1 Trillion over 10 years. The way he said it, I thought he actually looked at all the complex numbers and had figured it out. Boy was I wrong. A good leader doesn’t spend over a billion on software that doesn’t work AND did not even have a clue that it didn’t work after 4 years. The $1 Trillion savings? Hot air. Obamacare is on track to INCREASE the federal deficit by $1 Trillion or more over 10 years. Now, where did I get the 250% increase for the first year of Obamacare? THAT’S WHAT IT WAS TO US! I don’t need to “cite some web site”. You can spin it any way you like to make yourself feel good. Those of us that pay full price aren’t buying it. No one should be surprised by this, it is and always has been the plan. those who can afford to pay, will pay not, only for themselves but also for others who cannot afford to pay. Premiums will continue to go up because more and more people are falling into the cannot afford to pay category due to socialist policies that will slowly but surely ruin the American economy, mostly for the middle class. If you want to predict the future just look at Greece, it will be slow but we will eventually be just another Greek tragedy. Also, our State legislators are discussing the rate they are going to put on the rest of our monthly insurnace premium which will pay to offset the cost of subsidizing Obamacare and Medi-Cal that is being offered to low-income and illegals. Obamacare requires state implement this fee by 2017 as the Federal Government begins to cut back on their share of costs. California want to implement this starting in 2016. Both of these programs are considered a success in California. Of course they are a success, taxpayers are paying for them and those getting Obamacare are getting subsidies… DUH! As of about two weeks ago, the State Senate was looking at $8.00 PER MONTH to pay for Medi-Cal and Subsidized Obamacare for all health insurance policies outside of Obamacare and Medi-Cal. I am sure it is not going to get cheaper as they are also talking about allowing all illegals access to MediCal and Obamacare and taking on Oregon’s Obamacare Program because they have failed. See, the Oregonites are smarter and are not signing up so it’s not economically prudent for the State to run the program. Hawaii also just went belly up. Not California, taxpayers are going to make this work! “Talk about?” Rikardo Lara’s socialist-globalist gang-of-thieves is DOING it, via his SB4. Unlimited taxpayer money (yours) to pay for unlimited number of Criminal Illegal Aliens’ medical bills; 3,000 coming in our open border per day. Every legal citizen has a duty to make it very clear to State Reps that this must NOT pass. No, most Californians don’t obtain subsidies. 869,000 are enrolled and of those 88% receive subsidies. The rest of us pay full boat. Having said that, the increases are ridiculous. The government sets the amount of the reimbursement to providers for service so there should be no increase. There is no reason for government to be involved in healthcare. Open markets, across state lines, tort reform, the ability to chose the coverage that you want or need and taking the government out of the equation entirely will get this done. If Medicare patients were given tax credits for their medical expenses, thus giving them the money to choose an insurer, the increase in the cash flow to private companies would create added economies of scale. In addition, with all of the new regulations, doctors are retiring at an alarming rate leading to less providers available for more people now using the system because it is free. Less competition, higher demand, a recipe for increased pricing. According to the LA Times article, “nearly 1.3 million Californians qualified for assistance” aka subsidized insurance as of January 2015. In addition, 11.3 are signed up for MediCal (http://www.californiahealthline.org/capitol-desk/2014/11/medical-jumps-to-11-3-million). In addition, last month the State has approved MediCal for illegal children through age 19 and are currently talking about allowing all illegals on the program. These costs will be paid by the taxpayers – you and me! I don’t support government healthcare in the least, however you cited an article claiming that it said something that it did not. If we are going to successfully convince people that socialized medicine is not in their best interest we have to be accurate. The article that you cited used the figure of 869,000. The population of California is 38 Million. 90% of that is 34 million. Let’s make logical arguments to support our position. There is no other way to win. The logical argument is to not pay unnecessary PROFIT for our healthcare at our expense. Health “insurance” is a unnecessary unneeded economic parasite on America’s people. We pay far more now than what “single payer” would cost. But lets get all excited about “illegal children ” and “socialized medicine” anything to keep us from realizing the trillion’s of dollars of profit for the rich. In this case is not dirty, it’s a bloody profit. I thought the ACA changes limited profits. To think that a “requirement” will stop the profit center that is health insurance is like thinking that cps always does what’s best for the child. A fantasy to think that Creative accounting just stopped with the ACA. There is no such thing as a ‘free market’ when an effective monopoly dictates costs and pick and choose their dupes, er customers and who to deny. Hawaii has had its own insurance program for decades now, and anybody with a problem can walk through the doors and be served. Anyone can walk into a hospital and be served with no questions asked in CA as well. It is the law. And Hawaii has the 2nd highest amount of spending of any state per capita. Totally unsustainable. And if the state is paying for your healthcare, I am paying for it with my tax dollars. Go buy your own. Isn’t that typical? We should be grateful to them and consider it good that it didn’t go up more?! Yeah, like I should be grateful gas is only $4 instead of $5?! Dumbarses.. I have presented the detailed numbers before but to summarize, our insurance before Obamacare was $6,000/year for 80% coverage with a $6,000 deductible. Worked great for us. With Obamacare, it went to $15,300 (family of 4) for 70% coverage (originally – now 60% for Bronze) and $10,000 deductible. Period. It is obvious we are paying for the leaches getting subsidized insurance. I know. I know. We are heartless conservatives that just want to see the poor die. Now on the price of gasoline. Beginning January 1, 2015 California put in place a Carbon Credit tax on refineries (AB 32). This was voted in by California voters. It is not a tax per gallon so you don’t see it at the pump like the other taxes. It isn’t a fixed price but the proponents estimated it would add $0.10 per gallon but could be up to $0.70 per gallon. So how much is the tax? Now you know. You can buy gas for $2.65 at Costco in Phoenix. You pay $3.69 at our Costco (last time I was there). Now let’s wait and read how the liberals spin this. As I said before, when I was on Blue Shield (a $hitty HMO) my rate went up about 10 per cent a year, on average. With ObamaCare, it is going up 4 per cent, and I have the top-tier Blue Shield coverage, which provides excellent health care. Have you gone to your neighbors and thanked them? Thank those pulling the cart for you as you steal from your kids, grandkids and future generations for your cheap government cheese. Full price ACA for a family of four is like $1,300 a month. That’s not counting co pays and share of cost. Most docs won’t take it either.